It's that time of year again, and the MODA: Winter Fashion Show 2016 is less than two weeks away (cop your tickets here)! You know what that means - it's time to start planning what you're going to wear. Gents, I'm looking at you in particular. I know you've all got your individual styles, but for those of you who are still at a little bit of a loss, I've got you covered. Here are some options, depending on your go-to style. 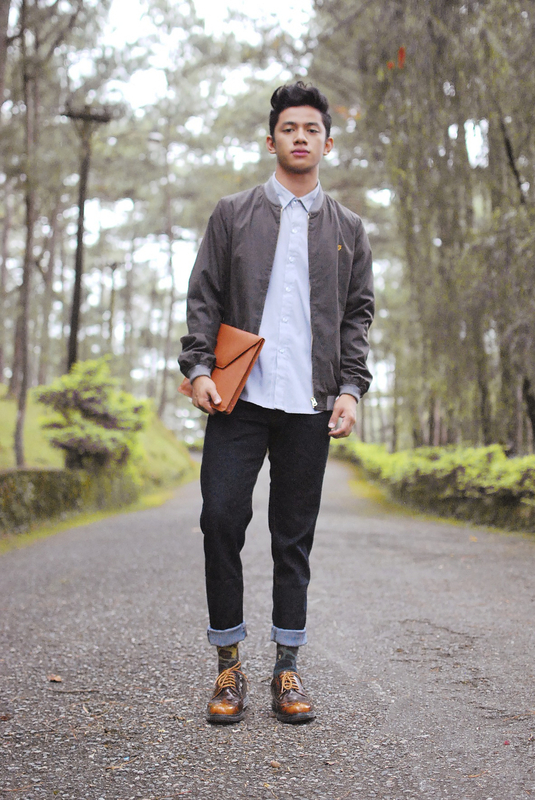 Streetwear has been around for years, and recently we've seen it dressed up for a slightly classier look. A pair of dark-washed denim pairs nicely with a lighter button-down, and the bomber jacket is reminiscent of the fit's roots in streetwear. Finally, the wingtip brogues give the entire look just the right amount of added class. We're still in the heart of winter, so you're going to want to stay warm while getting to the show. That doesn't mean you can't still be sartorial, though. A shawl collar pullover or cardigan keeps you looking classy, and warm. Win-win! This isn't an interview, so you're not going to want to suit up completely. Although, if you do, more power to you. To paraphrase an oft-heard piece of advice, "Dress for the weather you want, not the weather you have". Pairing a suit with a printed shirt is a delicate balancing act, but if you can pull it off, you'll be sure to turn more than a few heads. There you have it. Three looks that you could easily pull off for the MODA Winter Fashion Show, so you can snag that perfect profile pic at the photobooth.